Women are nurturing by nature. We usually prioritize the needs of others—children, parents, partners, etc.—over our own. But have you ever considered your own needs like self-care? This is an especially important factor when shopping for credit cards for women. Do you love shopping, traveling, or pampering yourself to de-stress? Don’t feel guilty about it! There’s no wrong in that, as long as you don’t overspend. Using a credit card that lets you save money while enjoying good things in life is also a must. Take a look at these top credit cards for women—one of these cards may just fit you right. Cashback credit cards for women help cardholders get the most out of their purchases. 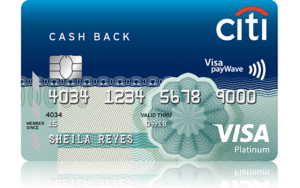 Citibank’s Cash Back credit card offers the highest rebate rate among cashback credit cards in the Philippines, allowing cardholders to accumulate non-expiring rebates and save as much as PHP 12,000 every year. Can’t live without your kikay stuff? 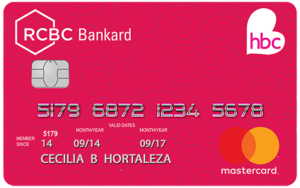 If you’re a frequent shopper at HBC, you can get money-saving deals with the HBC-RCBC Bankard. 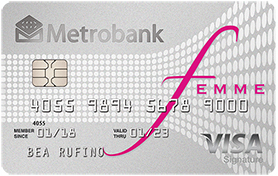 Metrobank offers one of the few credit cards for women in the Philippines: Femme Visa. If self-care is among your spending priorities, then this is the best credit card for you. 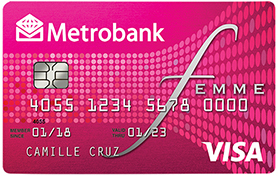 Made for higher-income earners, Metrobank Femme Signature Visa comes with more travel-related benefits than Femme Visa. It’s one of the best credit cards for women who often travel abroad. Love shopping at Forever 21? Make it more sulit by getting yourself a BDO credit card that provides generous rewards and benefits for your purchases. The ShopMore Mastercard is one of the best credit cards for women who frequently shop at SM malls. Is shopping the name of your game? 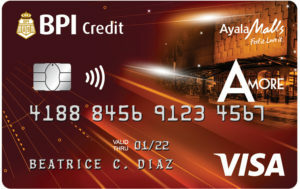 If you often shop at an Ayala Mall, then the BPI-Ayala Malls Amore Visa is your best bet. Earn rebates for qualified purchases and save up to PHP 15,000 per year. 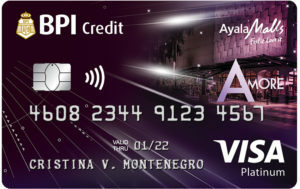 If you’re a high-income earner and want to save more on your shopping at Ayala Malls, BPI-Ayala Malls Amore Visa Platinum makes a perfect choice. The Amore Visa Platinum provides the same benefits as the Amore Visa (See the list on the previous item). The only difference is that the Platinum card allows a higher maximum rebate per year at PHP 25,000. EastWest Bank offers a credit card that’s tailor-fit for women’s needs: the Dolce Vita Titanium Mastercard. It’s the ideal card to use if you often avail of health, beauty, and wellness services. This RCBC credit card for women provides great rewards for fashion purchases at Mango stores. 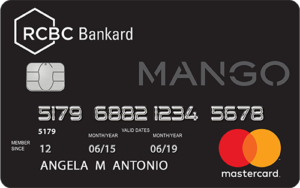 You can even use the Mango-RCBC Bankard to pay for your purchases in installments. 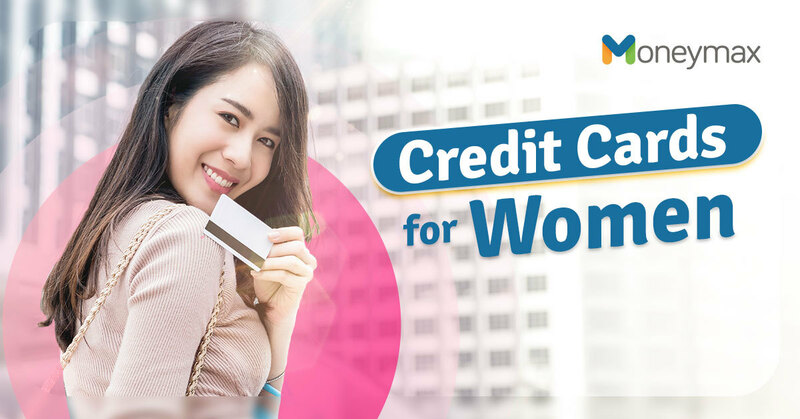 The best credit cards for women are those that offer a lot of benefits for your usual spending categories, like shopping, health, beauty, and wellness. Moms who need to stretch their household budget can also find credit cards that provide rewards and rebates for their purchases.